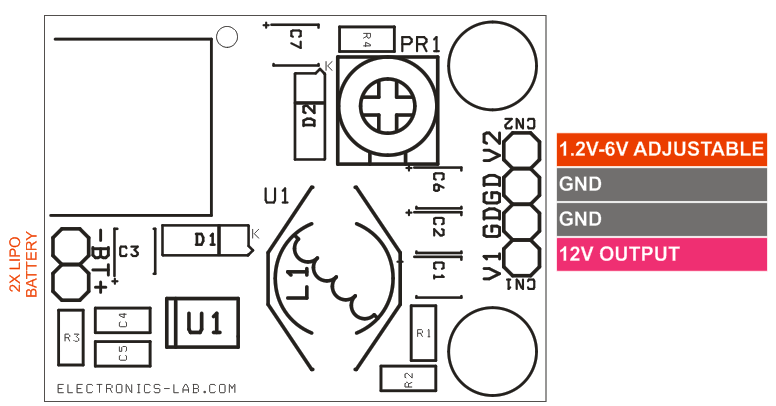 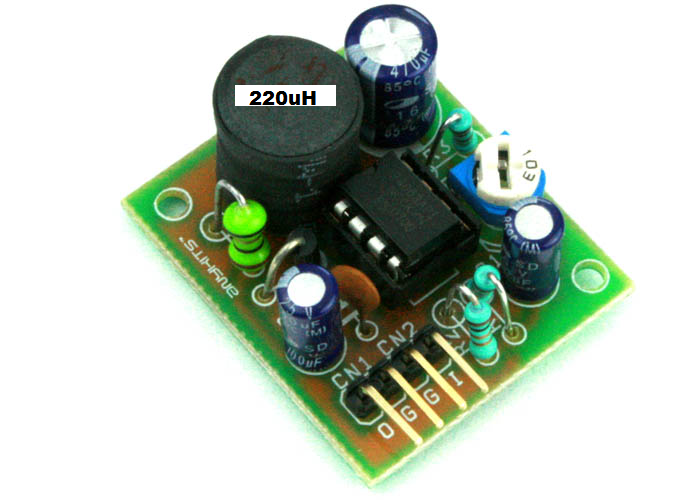 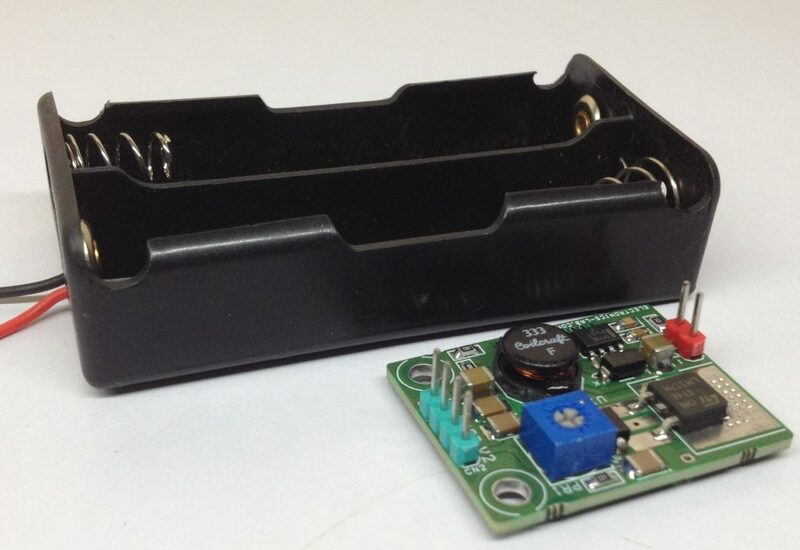 This board provides 12V/200mA DC and 1.2V to 6V/500mA DC Adjustable output with input of 7.4V 2x LiPO batteries. 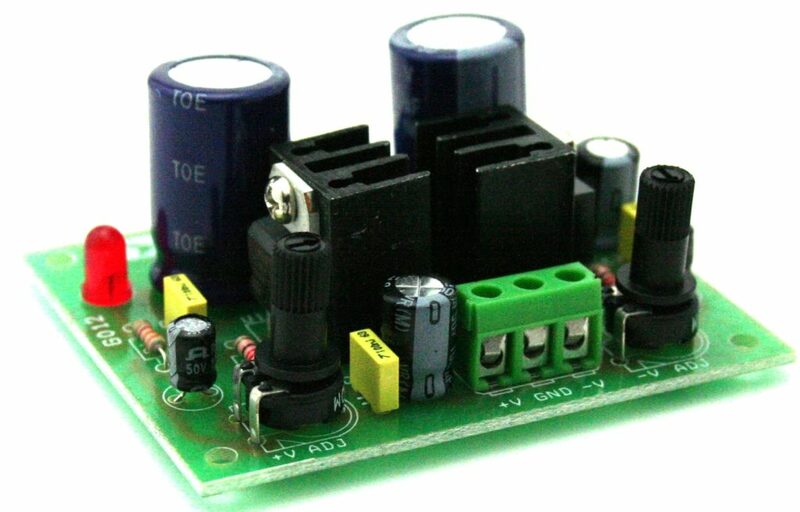 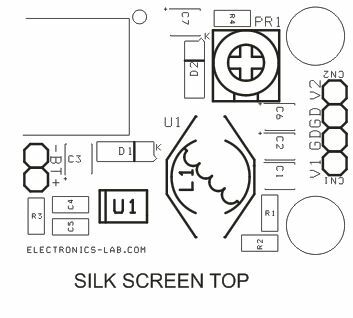 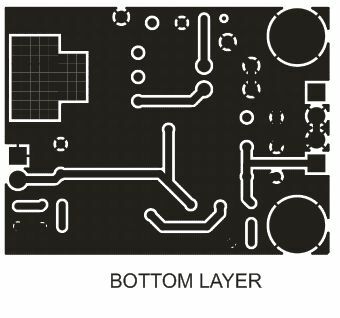 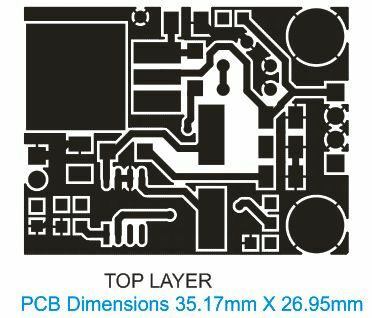 The board is a step up DC-DC Convert based on CS5171 and LM317 adjustable regulator. 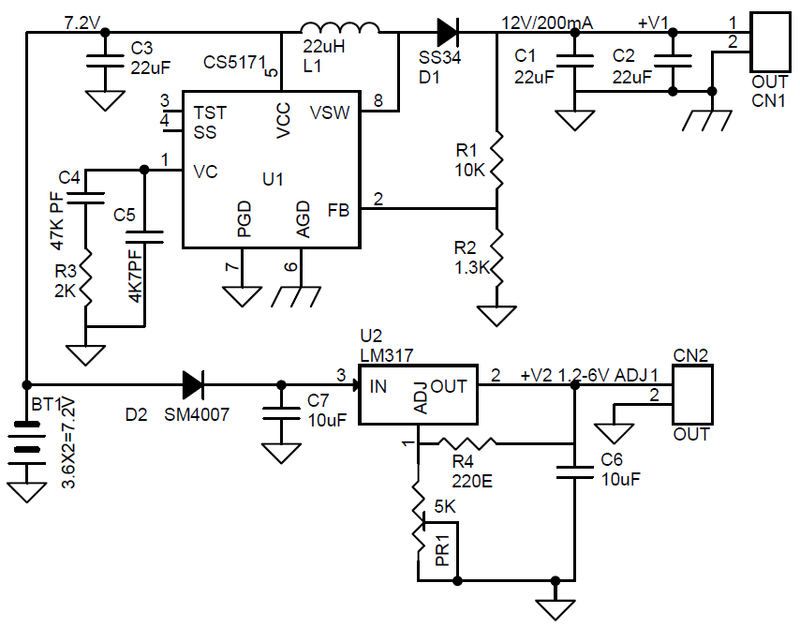 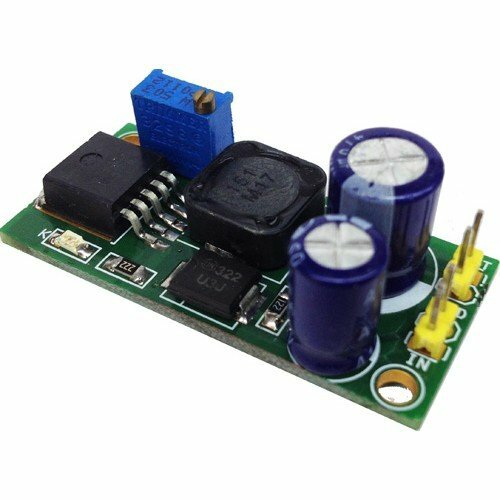 The Step up DC-DC converter provides 12V DC from 7.4V ( 2x LiPO batteries) and LM317 provides 1.2V to 6V Adjustable Output. 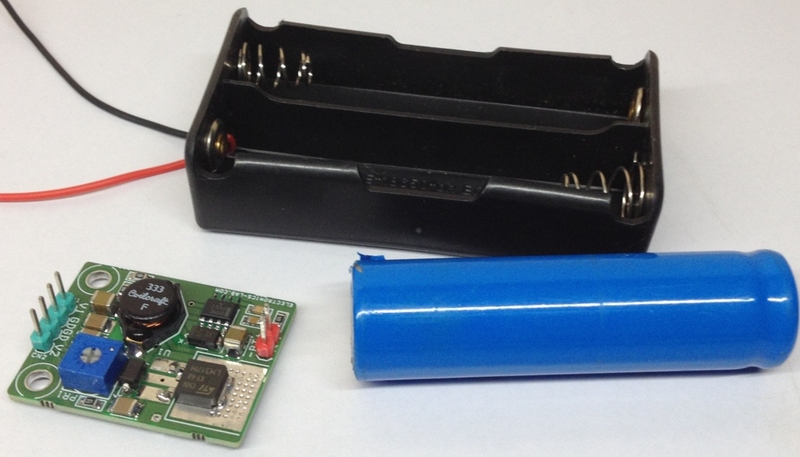 The tiny board can directly fitted at the back of the 2 x LiPO CR18650 battery holder using 2xM3 screws. 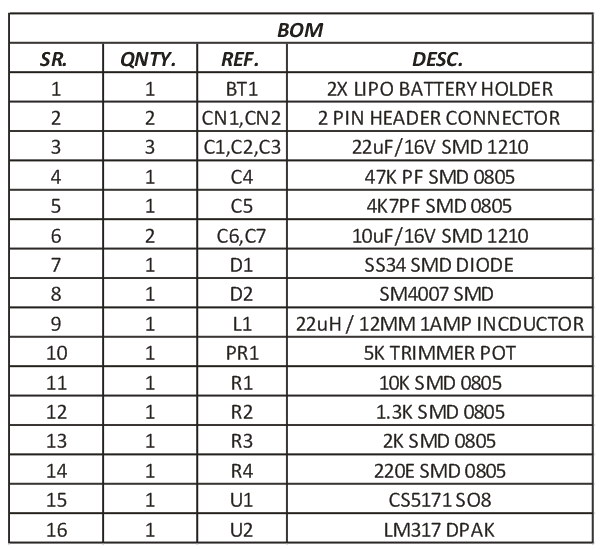 Trimmer potentiometer P1 provided to adjust V2 1.2V to 6V DC. 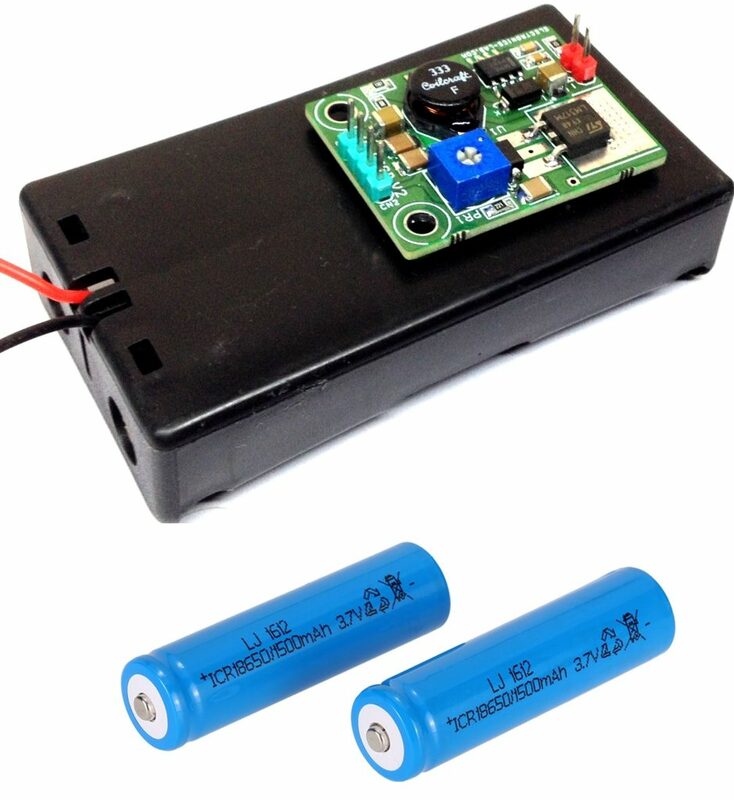 BT1 LiPO Battery , CN1 12V Output, CN2 1.2V 6V Output.